Reliable Bad Credit Car Loans Alberta! 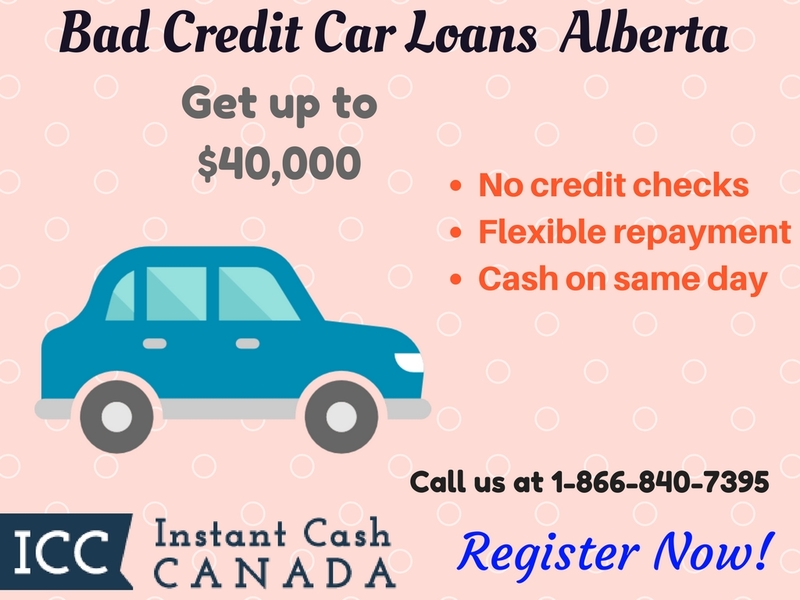 Apply Here for Bad Credit Car Loans Alberta and Get Up to $40,000! Are you dealing with a financial inconvenience in Alberta? Don’t worry Instant Cash Canada can help fix your problems. We provide the most convenient title loan services across Canada and are serving the residents of Alberta for many years. Bad Credit Car Loans Alberta have secured loans and require only a vehicle’s clear title as the loan collateral. The best part is you can apply for a bad credit score through a bad credit auto title loan Alberta and keep driving your car for the duration of the loan. Here Is An Overview Of The Title Loan Services At Instant Cash Canada! Benefits Of Bad Credit Vehicle Title Loans Alberta! Monthly payment is $97 only. No penalties or extra charges. A longer loan term up to 4 years. Factors Involved In The Bad Credit Car Loans Alberta Application! Posses a valid Canadian driver’s license. The second set of keys to your car. Registration and insurance of your vehicle. The vehicle must be less than 170,000 km driven and no more than 10 years old. Get Approved For A Bad Credit Car Collateral Loan In Alberta! Step 1. Call Us or Go For An Online Application. Step 2. Complete The Hassle-Free Paperwork. Step 3. Keep Your Car and Drive Off With Funds. Step 4. Obtain Money Against Bad Credit Car Loans Alberta. Stay In Touch With Us AT 1-866-840-7395 If You Have Any Questions! Our Loan Representatives At Instant Cash Canada Will Assist You Through The Entire Loan Process! No Need To Wait! Apply and Get Our Best Bad Credit Car Loans. We Have The Smarter, Faster And Better Financial Alternatives For You!